To reach Gerald Peary use the feedback form on the left. 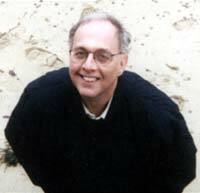 Gerald Peary has been a much-published North American film critic for more than twenty-five years. His cinema articles have appeared in many newspapers, including the Los Angeles Times, the Toronto Globe and Mail, the Chicago Tribune, and the Boston Globe, and in film periodicals around the world, including Film Comment, Cineaste, Sight and Sound, and Positif. He has been a reviewer for many publications, including the Real Paper, the Boston Review, Toronto Magazine, and Macleans. Since 1996, he has been a weekly film critic and columnist for the Boston Phoenix, . He is a member of the Boston Society of Film Critics, the National Society of Film Critics, and FIPRESCI (the International Film Critics Association). He has served on critics' juries at film festivals around the world, including at Locarno, Stockholm, Thessoliniki, and Berlin. He has been president of critics’ juries at many festivals, including Karlovy Vary, Rotterdam, Turin, Bangkok, Mara Del Plata, and Vienna. A Ph.D. in Communications from the University of Wisconsin, Peary has taught film studies and screenwriting classes at many universities, including Rutgers, Boston University, Tufts, and Concordia. Currently, he heads the film program at Suffolk University, Boston, where he is a Professor of Communications. He was a Fulbright Scholar, studying Yugoslavian Film Comedy in Belgrade, and Acting Curator of the Harvard Film Archive, Harvard University. Since 1997, he has been the curator/programmer for the Boston University cinematheque, bringing filmmakers to BU to discuss their craft. His eight books include co-editing the anthologies, The Classic American Novel and the Movies, The American Animated Cartoon, and Women and the Cinema: a Critical Anthology. His latest book, John Ford: Interviews. He has worked in film production as a story editor for the documentary filmmakers, Errol Morris and Ron Mann, and he has written screenplays in collaboration with the Serbian filmmakers, Slobodan Sijan and Srdjan Karanovic. Several of his original screenplays have been optioned. FOR THE LOVE OF MOVIES: THE STORY OF AMERICAN FILM CRITICISM, an in-progress feature documentary, is Peary’s first film as a director. Gerald Peary's Bibliography is now online.